and Items For Sale or Free. The cost is $25/week, (7 days). All Classified Ads must be paid in full at time of agreement and prior to publishing of Ads. *** TRANSFER TO PAY-NOW Page *** . 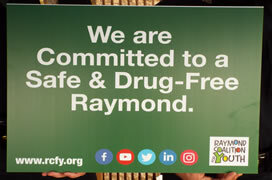 Contact us at (603) 679-8656 for questions or send an email with the advertisement to "info@raymondareanews.com" along with your name, phone number, address, town, date. You will be contacted prior to posting. To submit a DISPLAY AD or Advertise on the Business, Restaurant or Store Directory pages, click on Advertisement Information for more information .